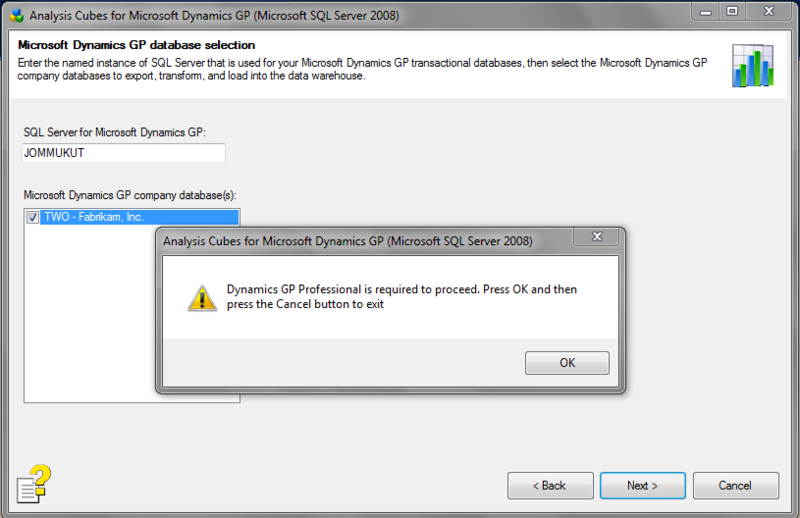 I was testing Dynamics GP 2010 Analysis Cube Configuration for SQL Server 2008. I entered the SQL Server 2008 Instance where GP is installed and I was able to successfully enter Setup Information for Analysis Cube Data Warehouse information. I honestly do not understand the term “Dynamics GP Professional“. While I am still wondering how to solve this issue, I would be immensely grateful if someone shed some light on this.